The Basilique de Saint-Denis, in the suburb just outside Paris, was the first Gothic cathedral, and contains the tombs of most of the French Kings and Queens. Transformed from an earlier style, beginning in the 1130s, its design owes to Abbot Suger, friend and counselor to Louis VI (the Fat) and his son, Louis VII. 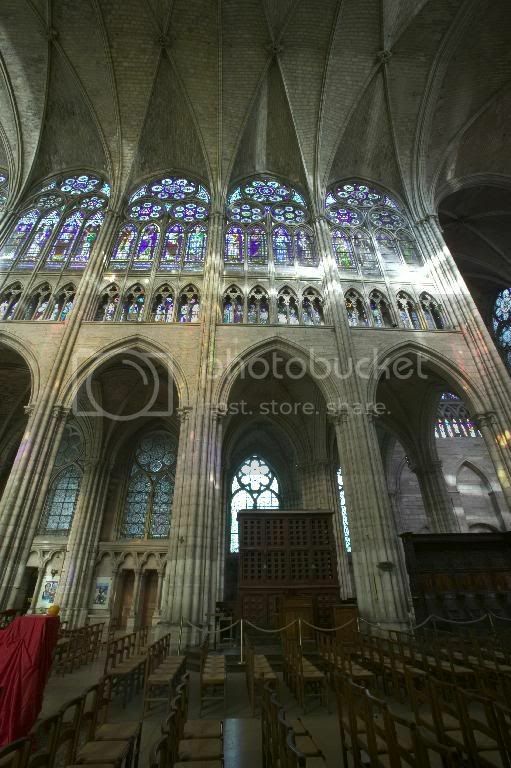 This shot shows the pointed arches, expanded stained glass, open spaces, enhanced elevations, and ribbed vaults that were among the characteristics that differentiated Gothic architecture from the earlier Romanesque style.